This recipe for tsoureki calls for a strong flour, the type 70 flour also known as bread flour. It will help keep the dough together so well, so i would not recommend using all purpose flour. It also requires sheep’s and goat’s butter, sold in mason jars. This type of butter is also used in kourambiedes and koulourakia. It’s dense, aromatic and deeply tasty. Regular cow butter will work too, but if you want the real thing, stick to my recipe. Happy Easter and happy baking everyone! The best Greek tsoureki recipe! 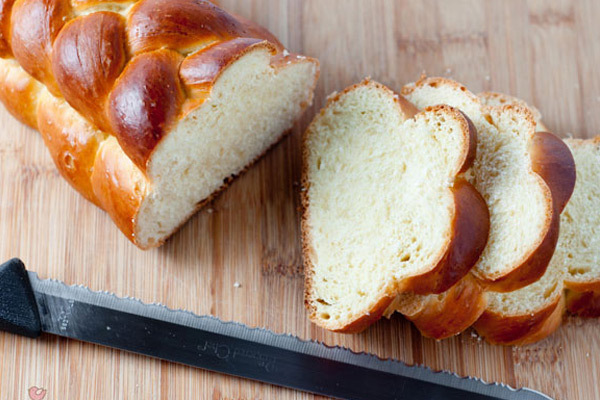 Tsoureki is a Greek sweet loaf especially enjoyed during Easter. 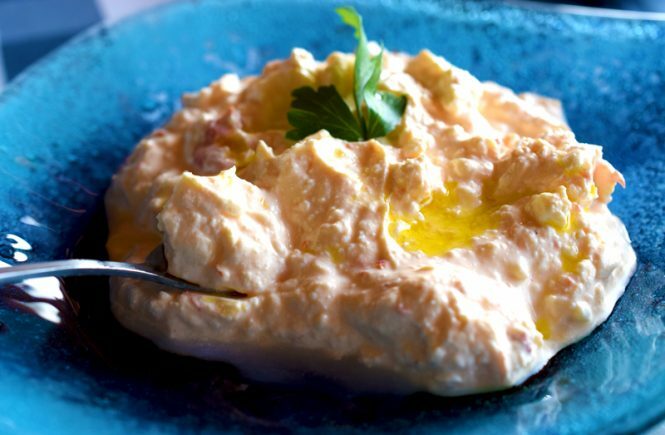 Make this tsoureki recipe and serve it during breakfast or with your coffee. For this tsoureki recipe, start with the wet ingredients. In a saucepan over low heat, stir the butter with the sugar, until melted. Remove from heat. Add the orange juice and the eggs, whisking vividly. Make sure that mixture temperature does not exceed 35oC / 95oF - it should feel lukewarm. In the mixer’s bowl add the flour, yeast, mahlab, cardamom and orange zest. Add the wet ingredients mixture to the bowl and knead the dough using the hook. Mix over medium speed until all ingredients are well incorporated. Then, continue mixing over high speed. Make sure that the ingredients are very well mixed and fully incorporated. This should take 10 minutes approximately. If the mixture looks too liquid, add some flour. The dough is ready when it looks firm and it has formed a ball around the hook. It shouldn’t be sticky, but rather fluffy. Transfer the tsoureki dough in a large bowl, cover it with a tea towel and let it rest and rise until double in size, for about 45 minutes, preferably near a hot surface. Transfer the dough on your working space and grease your hands with butter. Gently knead the dough twice, until deflated. Divide the dough into six smaller pieces. Form each piece using your hands into a round dough. Let the dough proof for 45 minutes. Roll each dough into a long strand using your hands. Each tsoureki should have three strands. Start braiding from the middle to the end and then all the way up. Pinch the ends together at one end and fold under the tsoureki. Continue until all tsourekia are done. Brush all the loaves with the egg wash. Transfer the loaves on a baking tray covered with parchment paper and bake for 45 minutes. Right after you remove the tsourekia from the oven, you could tuck a dyed Easter eggs on them. If you place them before, they will most probably crack in the oven. Let the tsourekia cool completely on a rack before serving.